Update: I do not make these for sale. They were a very time-consuming labour of love only, and besides, it is not my original pattern. THE PATTERN IS HERE. This is basically a PSA for learning how to knit because right now I am really in love with it. I will always be thankful to Tara-Lynn for putting out those Good Night, Day patterns which encouraged me to teach myself after years of saying it just wasn’t for me. Of course, it can be so frustrating and I’ve probably taken more knitting apart than I’ve finished. But I still love the act of knitting, and I love the tactile pleasures of a super soft yarn. Plus when you’re doing a bunch of simple knit rows, you can read a book at the same time. I read The Goldfinch as I knit the pink blanket. I haven’t knit things for people other than myself and Geoff, but I suspected that knitting for babies could be really enjoyable since everything is tiny and adorable. 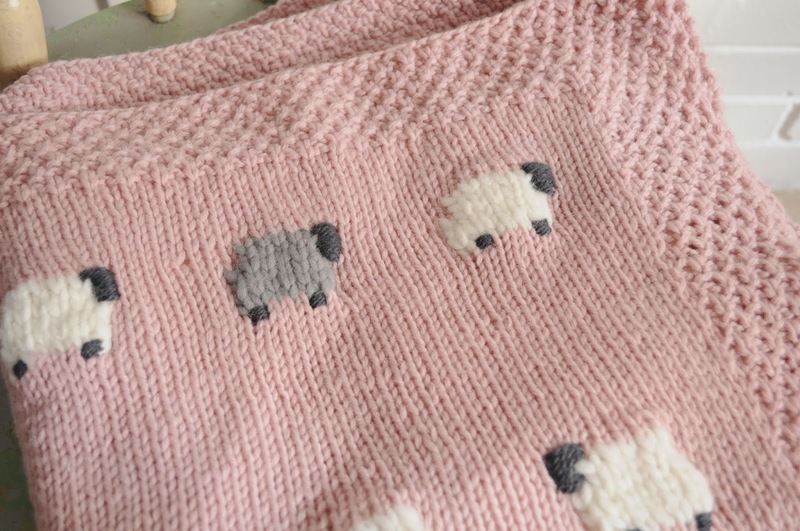 And what better way to honour and celebrate the arrival of a little baby than something made with care? We have a few sets of friends who have babies on the way, and while there are certainly no shortages of baby clothing and baby accessories available to buy, I was never very satisfied with the selection in my price range. Anything I made myself would be made under the most loving circumstances, and I could control the materials used (I know why so many baby items are made of polyester and acrylic, including most baby yarns, but... ugh). I found the source of the pattern for this blanket at the public library: the book Precious Knit Blankies for Baby by Jean Adel. 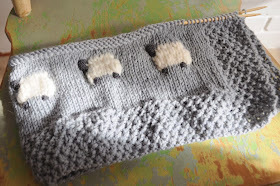 The sheep blanket pattern intimidated me at first and it took me a few tries to get the hang of the intarsia, but it ended up being easier than I thought, and that seed stitch border is so sweet. You can go your own way, little baby. I made the sheep out of roving wool but next time I might try using something with mohair for added fluff. This dusty pink one is for Megan of Summerland who happens to be expecting a girl, but dusty pink is just so perfect for Megan anyhow. I didn’t like how the back looked, just a little too messy, and Hollie, who was making the same blanket, suggested that I line it. 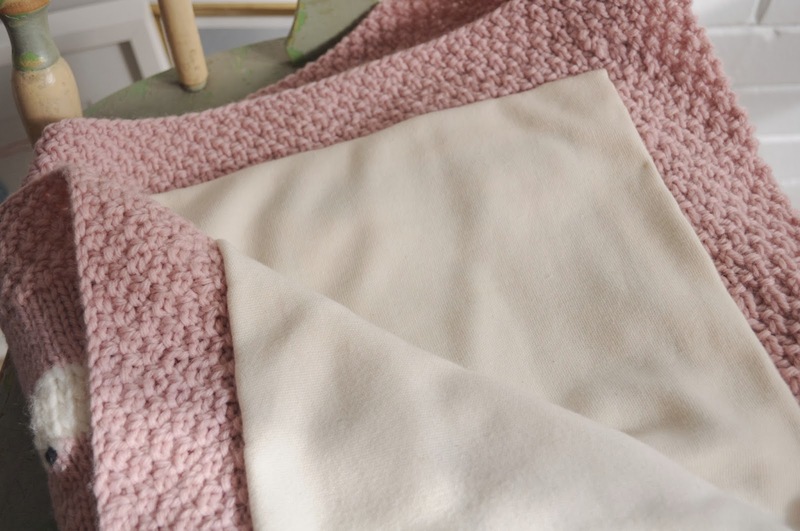 I used organic cotton jersey and it gave it an extra substance and softness. Good tip, Hollie, especially since these are both blankets for winter babies. Once I finished the pink one I went right into making the blue/grey one; I was really determined not to let them sit unfinished in a pile for too long. Finished this one last night, and the little dude it’s for should be making his appearance any moment. These are so adorable! 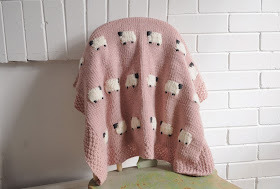 I love the one grey sheep on the pink blanket. They look amazingly professional! These blankets are really sweet, and you did a wonderful job! outstanding job! they look so sweet as a pair. 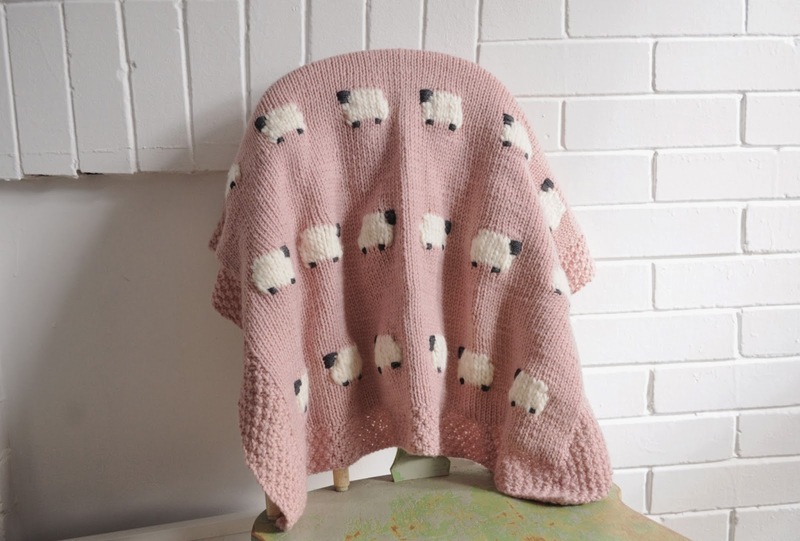 oh my goodness, these are the most adorable blankets!!!! These are so sweet, my heart aches! They're also very you in a way, like it's so lovely to give a baby gift that is unique both to the people it's for and the one it's from. 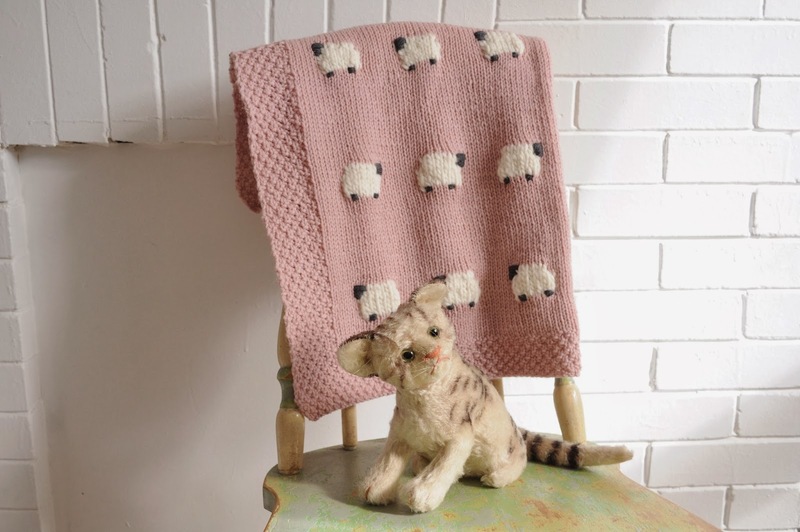 These blankets are so pretty and adorable! I love the colors you chose for both of them. 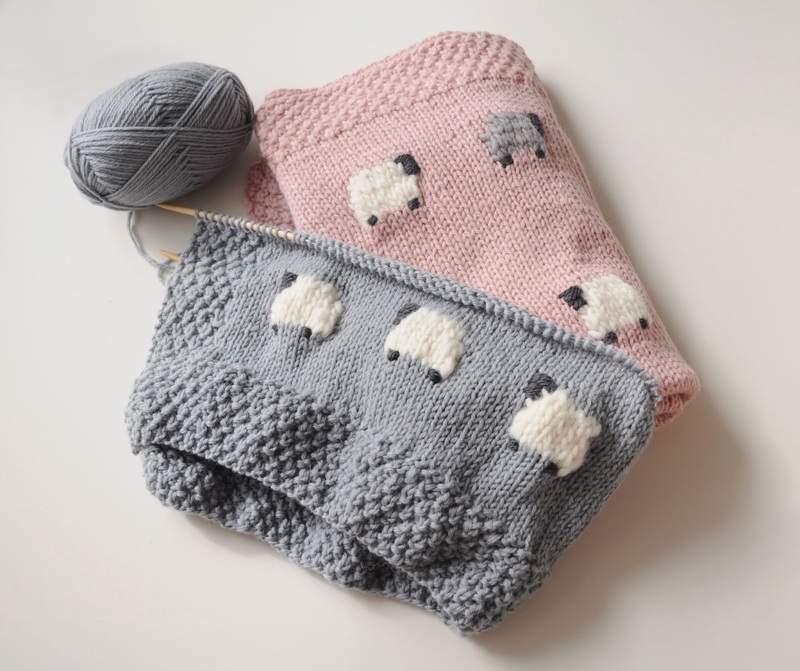 This is inspiring me to get back in the knitting game. I haven't made anything in a while, but hopefully I'll be starting a new project this week! oh wow, I am completely smitten with the blue-grey blanket. Lady - you may well have found yet another calling. Beautiful. these are so sweet! well done! That's beautiful work Anabela - I'm not sure I would have the patience to do it. My grandmother tried to teach me once, but I just ended up frustrating her. She works so fast with her hands, it's intimidating. Anyway, well done! Hope the bub enjoys. These are so, so adorable! I might need to trade in my crochet hook for a pair of needles and see what I can come up with. They look so pretty! You have so much talent! those blankets are perfection! they look so sweet and simple, and the lining is great, looks very professional. I am actually really amazed at these blankets! They look so professional & SO ADORABLE! I now really want to learn how to knit & make my own! Hi, love your blanket! Just wondering if you have any tips on how you lined the back of it? I was wondering the same, thanks for the link! Love your blankets! Hi! 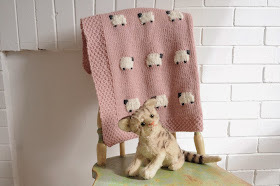 I LOVE this blanket and I what to make one! The problem is that I live in Denmark, and I can't get my hands on the pattern, can you help me? Did you hand stitch the organic fabric on the back or were you able to place it through your sewing machine? 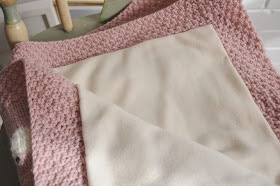 I'm working on same blanket now and was wondering if running it through sewing machine would catch on the yarn. What type of stitch did you use when sewing if so? By hand using a slip stitch. Beautiful blankets. Do you remember the brand and colours of wool you used by any chance? Love that grey! Hi! 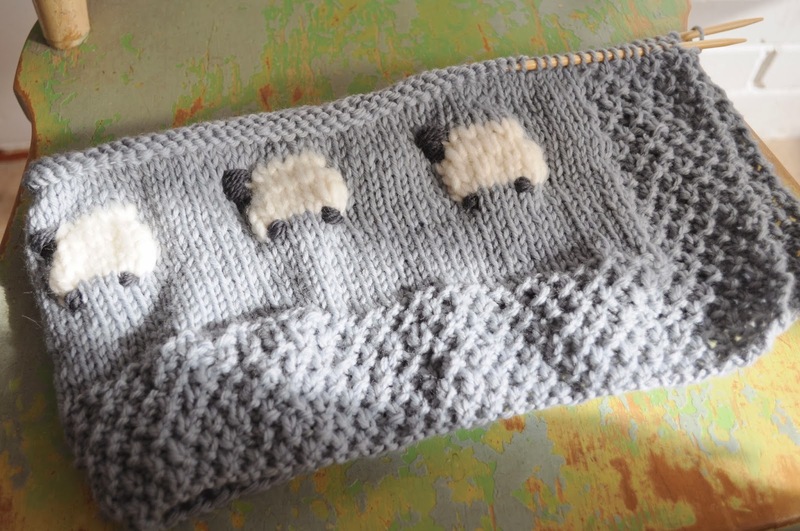 I am in the middle of knitting this and your sheep lay a lot better than mine do. With carrying the yarn accross the back it kind of puckers. Did you do anything special to make them look so flat and nice? Imthey are beautiful!! Hi, I wish I could help but I made these two years ago and I don't remember at all! Hello , can you tell me what kind of gray wool you used ? brand? and point stitching on the side of the blanket ? It was so long ago I honestly don't remember. Some type of worsted merino.